Looking for private in-home or in-studio Mandolin lessons? Our Haltom City teachers are ready to get you started. Find your teacher today! Slowly but surely, I'm getting some things right. It helps to know the lyrics to help with tempo/timing. I'll keep at it with a bit more practice. Thank you, Grant, for making revisions to accommodate my abilities. Love that notes are sounding better. Even though chords are very difficult, today I tried one song with easier chords and did not do too badly. Even tempo felt better. No time-outs for me...yet. Grant is a great and patient instructor. 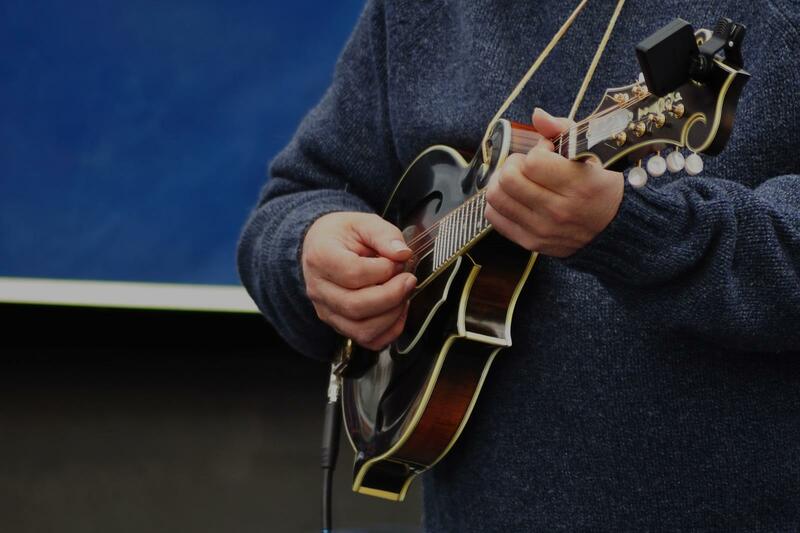 Looking for a mandolin instructor that considers your music interests, your goals, your time constraints, and your current level of experience when constructing weekly lessons for you? Want your instructor to help you advance your skills while you learn the music you want. I am a teacher who does just that. I have over 20 years teaching and performance experience, a BA in music theory/composition, and am the author of a number of music education books published by Alfred Music. I am excited to help you meet your goals as a mandolin player and musician! I am a teacher, songwriter, published author, and composer with 20+ years experience performing and sharing knowledge and inspiration with students. I received a Bachelor's of Music degree in composition and music theory from Central Connecticut State University and am the author of three instructional music books published by Alfred Music (The Total Acoustic Guitarist, The Blues Guitar Experience, Guitar Atlas: Russia) and one DVD (No Reading Required: Chords and Strums for Acoustic Guitar). My lessons have been featured in Premiere Guitar Magazine. earning style and personal interests of my students. Frank is a patient and engaging teacher who lets the student's interests guide development while incorporating guitar fundamentals along the way! I have been taking lessons with Frank for several years and I think he is an excellent instructor. He has helped me have confidence in my abilities and is patient when I get frustrated. He has been able to teach me about music theory in such a way that it is understandable. I have been to some of his performances and he is a talented musician as well as instructor.